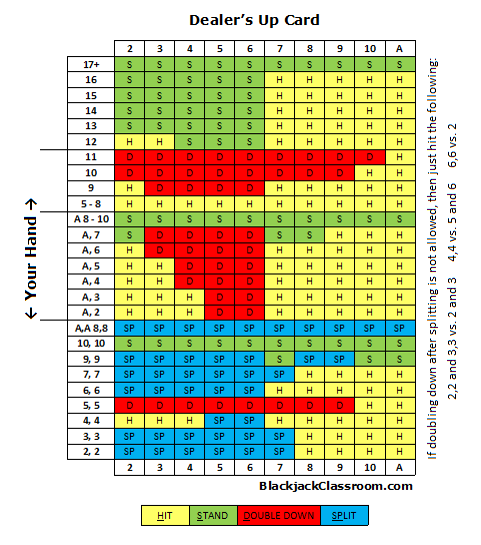 Very few players realize that basic strategy charts differ depending on the number of decks being played with and the specific rules of the blackjack table. Below you will see a basic strategy chart that is correct for 4-8 decks where the dealer stands on Soft 17. 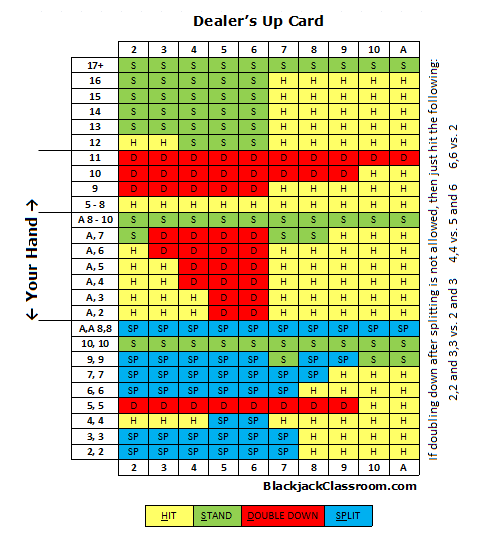 Note: If the multi-deck game you’re playing has the dealer “hitting on Soft 17”, then you would double A,8 vs 6 and double A,7 vs 2. * Reprinted with the permission of RAO Inc. 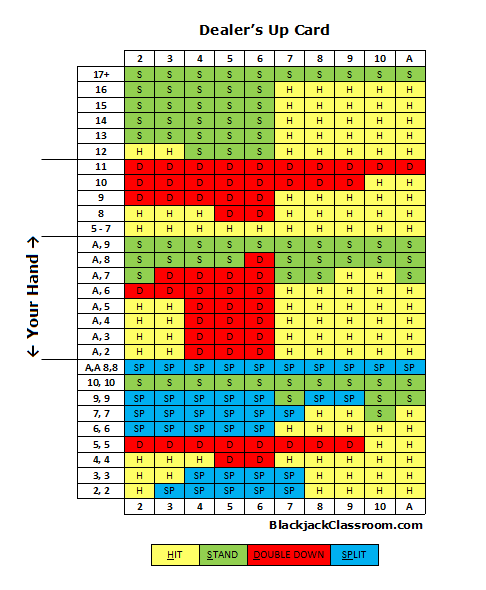 Note: If the multi-deck game you’re playing has the dealer “hitting on Soft 17”, then you would double A,8 vs 6, double A,7 vs 2 and double A,3 vs 4.